Three days until my first recital and I am playing my pieces for my teacher. She sits quietly behind me, eyes closed as she listens. As I finish each piece she offers praise, suggestions and advice. She looks at me intently. "Don't be discouraged if you make a mistake on Saturday," she comments. "Everyone makes mistakes and it is okay. Just play through the mistakes and most people won't even notice." I am a little taken aback. Is she telling me this because she knows from what she has heard today that I am destined to err on Saturday? I continue to listen to her critique and realize that I'm wrong; it isn't because of my performance that she has given me this advice, but rather because during this past year she has come to know me well. She knows I am a perfectionist and can be very hard on myself. It's true, I don't like to fail. I cannot pinpoint when or how I became this way but at some point in my early years I began comparing myself to others and found myself lacking. I cannot blame my parents or teachers; they were always supportive and encouraging. Instead it seems as if it was a character trait born out of a sense of insecurity, of not being good enough. I have always had a fear of failure that at times has kept me from doing what I love. It's funny; I am very good at setting aside time to practice piano daily and yet I don't do the same for my art. 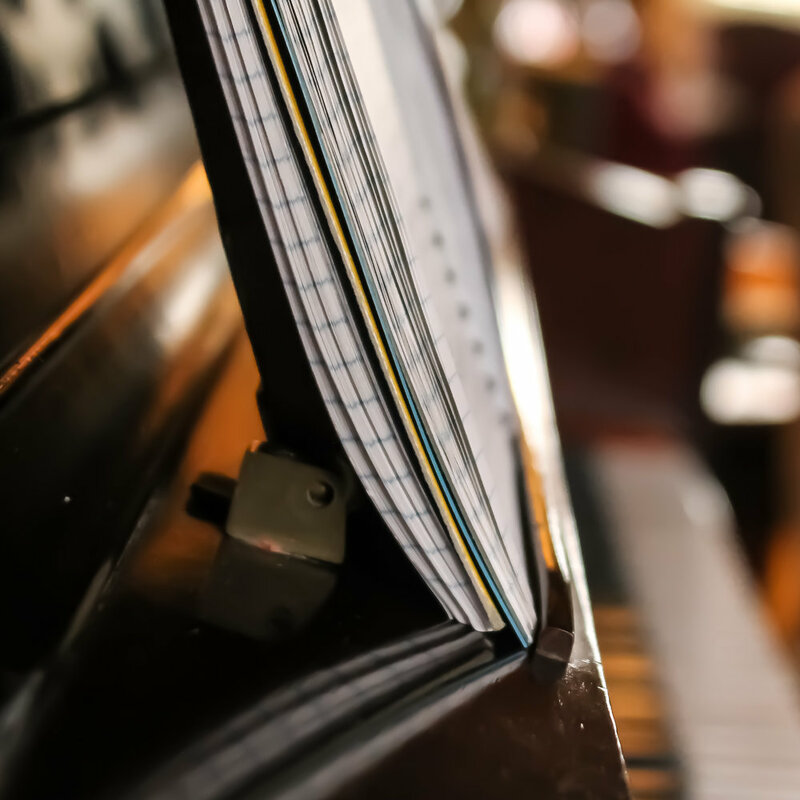 Perhaps it is because with my piano lessons I am being held accountable by my teacher, but I think it is also because I know I won't improve if I don't practice. I dream of sitting down and just choosing a piece of music to play and I willingly work towards that goal. So why don't I do that with my art? Is it because I am only being held accountable to myself? It seems that everyday I am able to create a list of things that need to be done before I sit down and create. Popeye needs a walk. The clothes need to be folded. The email must be answered. It has become second nature to me to just put it off for another day. I know that to improve as an artist I need to dedicate time to my craft, to set aside fears of failure and push the envelope. I am always asking my piano teacher to give me challenging pieces but as soon as I feel challenged in art? I freeze, afraid to move forward. When I am wrestling with thoughts such as these I am often surprised by the messages I receive from the Universe. Last night I posted the montage above on Instagram to participate in a project circulating with the hashtag #artvsartist. The basic idea is to find similarities between the photograph of the artist and the work he or she creates. When I went on Instagram today I found an invitation to join The Giving Gallery, a new online gallery that supports mental health nonprofits. It felt as if the Universe was giving me a giant nudge, an affirmation that I should not give up on my art, that I should value my work and, more importantly, value myself. As for the recital, I am happy to report that yes, I did make a few mistakes, but you know what? I kept calm and played on. We all did and each of our songs sounded beautiful. It was such a learning moment for me, to see that even the most accomplished pianists in our little group still were capable of making mistakes. It was a lovely afternoon spent celebrating our collective love of music and fellowship and I look forward to our next recital.